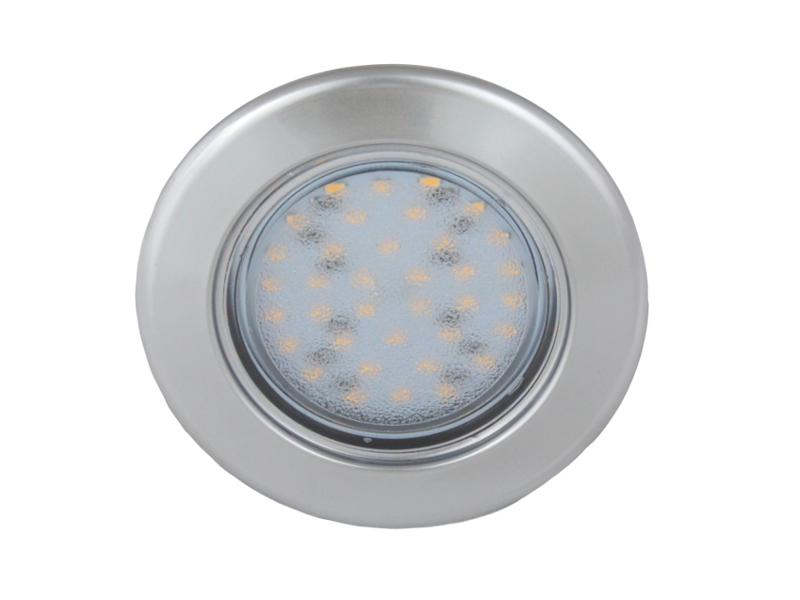 Vega 75 round recessed 12V downlight with 36 surface mounted LEDs, suitable for use in motorhomes, vans, campervans, caravans, boats etc. 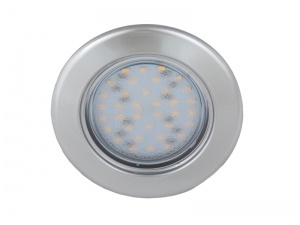 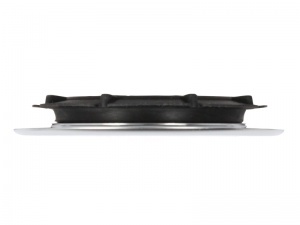 These 75mm diameter flush fitting, recessed lights have a matt chrome finish and feature an easy 'no-screw' mounting system - they simply push into a 60mm dia hole in a panel or headlining of 5mm thick or greater and the rubber ring around the light grips it in place. 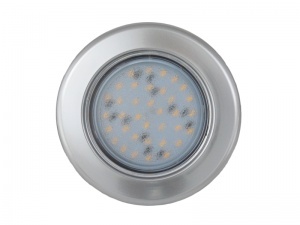 They provide a discrete and extremely low profile finish and the lens is frosted to provide a softer lighting effect. 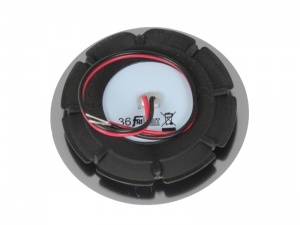 Use with the Vega 75 'Touch' MASTER to create a centrally controlled and dimmable set of ceiling lights.